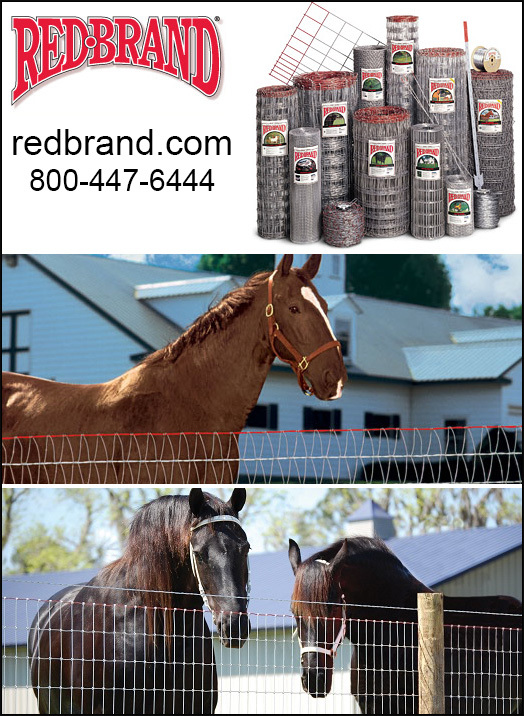 The safe, NON CLIMB fencing offered at Red Brand is specially designed for the rigors and curiosity of horses! Since 1889, Red Brand fence has stood guard protecting American farms, ranches and livestock. With the most complete line of fencing solutions, produced at the highest quality, Red Brand is an American fence tradition. Red Brand is the premium line of agricultural fencing products and reigns as the most recognized brand of farm fence in the United States. Since 1889 Red Brand has been standing guard with top quality, American-made fence products for a wide variety of applications. Whether it’s the full-time farmer or the part-time enthusiast, Red Brand is the product of choice when selecting the best in farm fence. Know Your Knots! Our KNOTS Make All The Difference! What Horse Fencing Options Do I Have For My Horses? We know what it takes to keep your horses safe. Horses are curious, ‘fence testers’…and putting in another fence that is ‘cheaper’ can really cost you in the long run if your horse puts a hoof through and suffers tendon cuts, or worse. We are horse people helping other horse people and our fencing is used all across America! Non-Climb fence with a 2” x 4” mesh spacing prevents stepping through and uses the smooth side of Square Deal® Knot to protect hides from injury! NOTE: This is also available with EXTENDED LIFE (EL) which is Strong Class 3 Galvanized wire- with even greater resistance to rust and weather. Keepsafe® fence uses a v-mesh weave to prevent hooves or legs from becoming caught in the fence. Traditional RedBrand (RB): Since 1889, Red Brand fence has stood guard protecting American farms, ranches and livestock. With the most complete line of fencing solutions, produced at the highest quality, Red Brand is an American fence tradition. Using Class One Galvanized Wire- built to last for years to come. Many Ag Dealers Nationwide Carry Red Brand — Stop In And Order Today! Horses need specialized fencing to prevent their hooves from slipping through, and with enough ‘give’ to prevent serious injury, yet with durability to keep that fencing strong and in place. At RedBrand— we are there to protect your horses— when you are not. Stop in, call, email or see a local dealer today! You’ll love the ease, the durability, the safety and the peace of mind that RedBrand is there to give.